A second birth for people, to be born of God, by receiving the divine life (John 1:12: 3:3, 5). 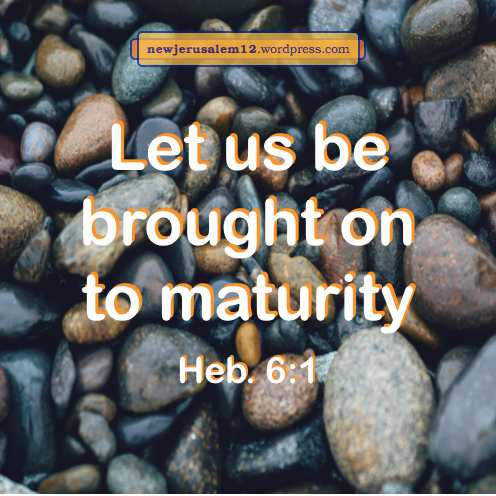 In the New Testament there are several dozen verses which include Greek words translated complete/completion, perfect/perfection, or mature/maturity/full grown. These words all point toward New Jerusalem because every believer will mature in their Christian life to participate in this wonderful/complete/perfect city. The perfection of New Jerusalem is shown by the multiple “twelves” in its description. 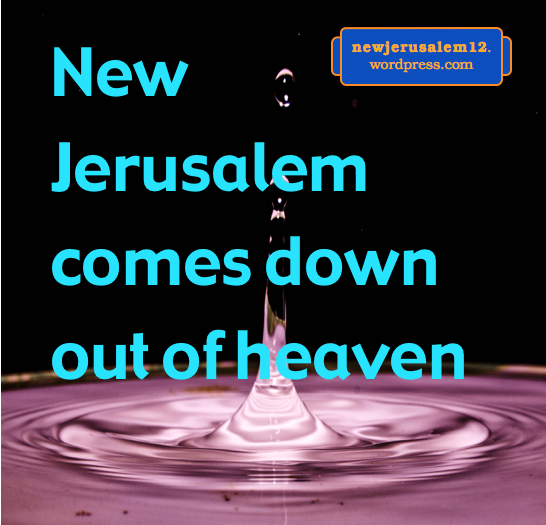 This post begins a look at some verses containing these words, including their relationship to New Jerusalem. Matthew 5:48 is a good beginning, “You therefore shall be perfect as your heavenly Father is perfect.” Our Christian perfection comes not from ourselves but from the Father’s life within us. His life is perfect and when it matures in us, we will be perfect. Our Christian life begins with our new birth, as in John 3:5-6 and 1 Peter 1:23. A birth is the beginning. Now we need to grow for a considerable period of time. The beginning of this growth is by the milk of God’s word, just as newborn babies drink milk to grow (1 Peter 2:2-3). But New Jerusalem is not a city of babies; it is mature and complete. We should heed the words in Hebrews: “everyone who partakes of milk is inexperienced in the word of righteousness, for he is an infant; but solid food is for the full-grown” (5:13-14). This requires spiritual exercise (5:14). So, “let us be brought on to maturity” (6:1). Lord, I am willing; bring me and my Christian companions on to maturity. Give us solid food so that we can grow! The Lord Jesus Christ comes in glory in three stages: on the mountain (Matt. 17:1-2), on the clouds (Matt. 24:30), and in New Jerusalem (Rev. 21:9-11). The glory on the mountain fulfilled the promise that some would “see the Son of Man coming in His kingdom” (16:28). The glory and the kingdom appear together. In the glory of His second coming “He will sit on the throne of His glory” (Matt. 25:31). The throne indicates the kingdom, again coupling the glory and the kingdom. 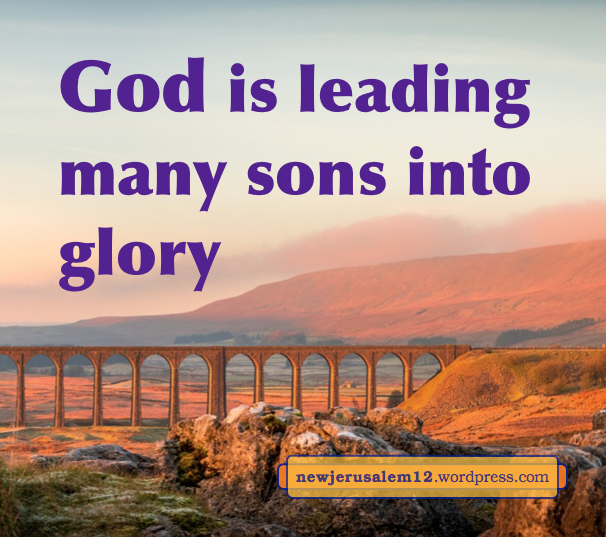 The glory of New Jerusalem is with “the throne of God and of the Lamb” (Rev. 22:1), again linking the glory and the kingdom. The union of glory and kingdom matches God’s purpose expressed in the creation of man: “God said, Let Us make man in Our image, according to Our likeness; and let them have dominion…over all the earth” (Gen. 1:26). Man was created in God’s image so that God may become man’s life and be expressed through man. This corresponds to the glory. Created man given dominion is for God to reign over the earth through man. This reigning is the kingdom. The glory and the kingdom are with Jesus Christ in Matthew. However, He is not alone. God’s purpose in Genesis 1 involves a corporate man. This is now the new man, which we have put on, where “Christ is all and in all” (Col. 3:10-11). Jesus Christ radiates the glory and reigns through the corporate new man which grows unto New Jerusalem. 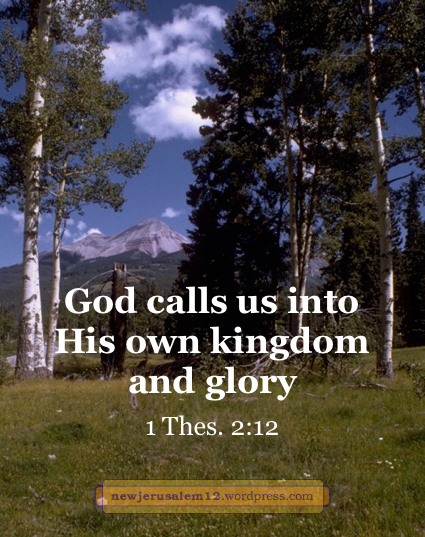 This is also seen in 1 Thessalonians 2:12: “God, who calls you into His own kingdom and glory.” We have been called to participate in God’s kingdom and His glory. This begins from our being born into the kingdom (John 3:5), continues with our transformation in glory (2 Cor. 3:18) and culminates in New Jerusalem. John 3 is a chapter on being born again and eternal life. John 3 also speaks about a brass serpent and a bride. Together these point toward New Jerusalem. Because of Adam’s transgression, all men were constituted sinners (Rom. 5:19), man was put out of the Garden of Eden, and the way to the tree of life (a picture of Christ as the real life) was closed (Gen. 3:22-24). In the New Testament Jesus Christ came to resolve this problem. He took away sin (John 1:29); cast out Satan, the source of sin (John 12:31); and was lifted up to save us from the satanic nature (John 3:14). Although we were constituted sinners in Adam, we were constituted righteous in Christ (Rom. 5:19). Based on this righteousness, we receive eternal life (5:18) and are born again. 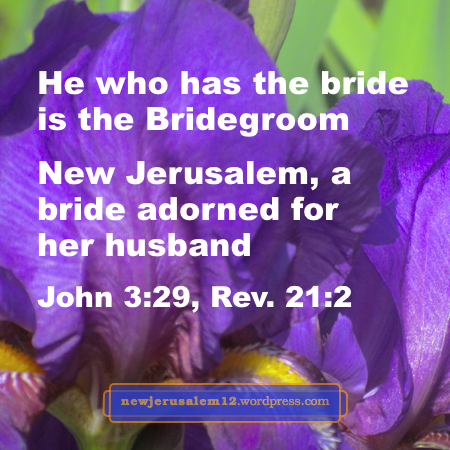 John the baptist said, “He who has the bride is the bridegroom” (John 3:29). This statement, although seemingly generic, has a context clearly about Jesus Christ. New Jerusalem is the fulfillment of this statement. 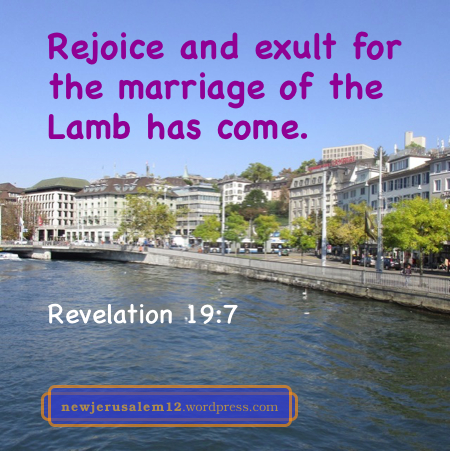 Revelation 19:7 says, “Let us rejoice and exult, and let us give the glory to Him, for the marriage of the Lamb has come, and His wife has made herself ready.” Jesus Christ is the Lamb and New Jerusalem, the composition of all regenerated people, is His bride. In Revelation 21:2 John the apostle saw New Jerusalem as “a bride adorned for her husband,” the eternal outcome of John 3. 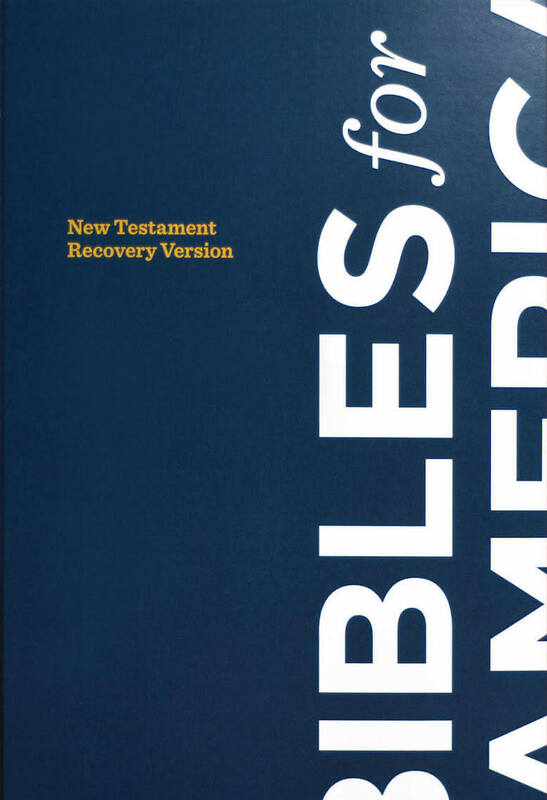 * From footnote on John 3:30 in The Holy Bible, Recovery Version. 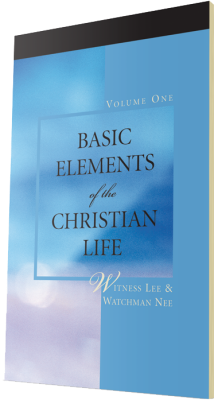 It is well-known that John 3 is a chapter on new birth and eternal life. In verse 3 Jesus speaks about being born again (or born anew), in verse 5 about being born of water and the Spirit, and in verse 6 He tells us, “that which is born of the Spirit is spirit.” When we are born anew, our deadened human spirit is born of, made alive by, the divine Spirit. Being born again begins our walk on the golden street of New Jerusalem. When we believe into Jesus Christ, not only is our human spirit made alive, but also we receive eternal life. This is John 3:15-16. This is a new beginning with a new life. The consummation, the maturity, of this life is New Jerusalem. The Lord Jesus applied this to Himself. 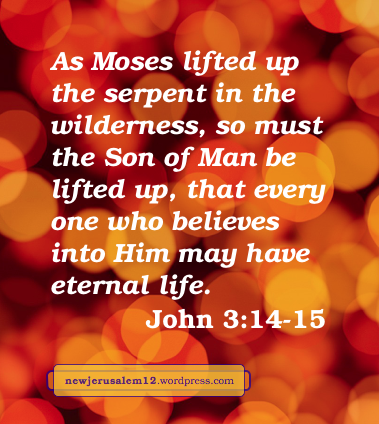 “As Moses lifted up the serpent in the wilderness, so must the Son of Man be lifted up” (John 3:14). Because of sin, all humans have the evil nature, the poison, of the serpent Satan within. The Lord Jesus was lifted up on the cross as the reality of the bronze serpent to free us from this serpentine nature. We need both of these for our participation in New Jerusalem—the Lord Jesus lifted up to cast out the old serpent (John 12:31) and save us from that nature, plus the Spirit entering into us with eternal life. We receive, rejoice, and go on to New Jerusalem. Four verses mention the peoples (Rev. 21:3), the nations around New Jerusalem. 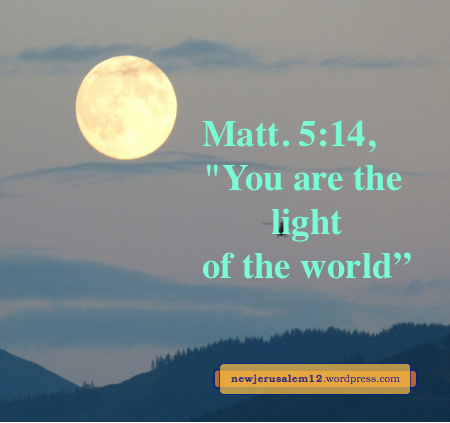 These nations walk by the light of New Jerusalem (Rev. 21:24), bring their glory and honor into it (Rev. 21:26), and are healed by the leaves of the tree of life (Rev. 22:2). Here is a summary of recent posts about these nations, with links (at ▣) to individual posts. ▣ These nations are plural and still are “nations” whereas the Lord Jesus has purchased us for God, redeeming us “out of every tribe and tongue and people and nation” (Rev. 5:9). ▣ Revelation 21:24-26 is about these nations. Several phrases here match phrases in Isaiah 60, such as “Nations will come to your light, and kings to the brightness of your rising” (60:3). ▣ Another contrast to the multiple peoples/nations in that in the new man, which we have put on, “there cannot be Greek and Jew, circumcision and uncircumcision, barbarian, Scythian, slave, free man, but Christ is all and in all.” (Col. 3:10-11). ▣1 ▣2 The peoples/nations around New Jerusalem will be God’s peoples, belonging to Him, and restored to the state of human life at creation, before the fall. However, they are not His sons born of His life. ▣ The nations around New Jerusalem walk by the light of the city (Rev. 21:24). This blessing is not as high as that of the believers in Jesus Christ, who have Jesus Christ within them as their light of life (John 1:4, 8:12). ▣ God is both the God of people built into New Jerusalem and the God of the peoples around the city. In contrast, only the people constituted into New Jerusalem have been born of God and have God as their Father. ▣ The peoples around New Jerusalem live near God. This is far inferior to the people built into New Jerusalem, who live in God and have God living in them. ▣1 ▣2 In Revelation 22:1-2 there are three provisions: the water of the river of life, the fruits of the tree of life, and the leaves of the tree. The leaves are designated for the outward healing of the nations around New Jerusalem. In contrast, the water and fruit symbolize divine life as the inward supply for the people built into New Jerusalem. ▣1 ▣2 First Corinthians 1:30 declares that it is of God that we are in Christ Jesus. This is unchangeable. But, is our daily living according to our culture and upbringing or is it in Christ Jesus? We need the Lord’s renewing (Col. 3:10) that we may live Him in reality. 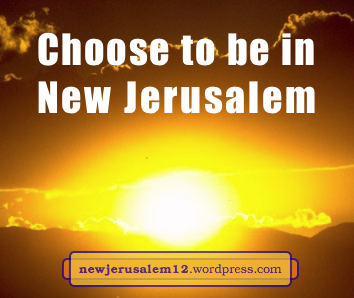 ▣ Choose to be in New Jerusalem! John 1:12-13 tells us that those who receive Jesus Christ are born of God. This birth imparts eternal life into us, the life which brings us into New Jerusalem and grows us into this city of life. Yes, life on the new earth around New Jerusalem will be tremendously better than life on earth now. However, do not settle for this but reach out for the best—born again for being built into New Jerusalem today and living in its fullness eternally. Recent posts have compared the nations living outside, around New Jerusalem (Rev. 21:3, 24) with the redeemed and regenerated people constituted into New Jerusalem. The peoples, the nations around New Jerusalem are plural. The people constituted into New Jerusalem are one in Christ. To be on the new earth around New Jerusalem will be very good but it will be a much greater blessing to participate in the eternal life of the city. 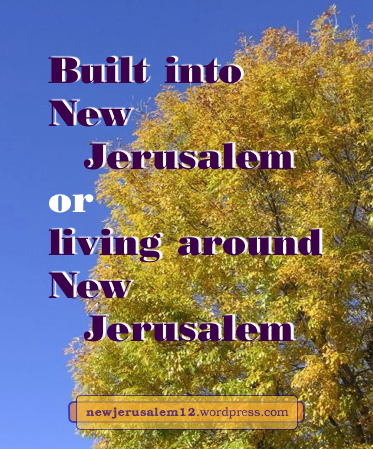 The choice to be in New Jerusalem is yours. This choice must be made while you are alive and before the Lord Jesus returns physically from heaven to earth. The choice is, will you believe into Jesus Christ and receive Him into you? John 1:12 says, “as many as received Him, to them He gave the authority to become children of God, to those who believe into His name.” And verse 13 says that these believers, these receivers, are born of God. The result of receiving Jesus Christ is that we are born again with the eternal life in addition to our human life. 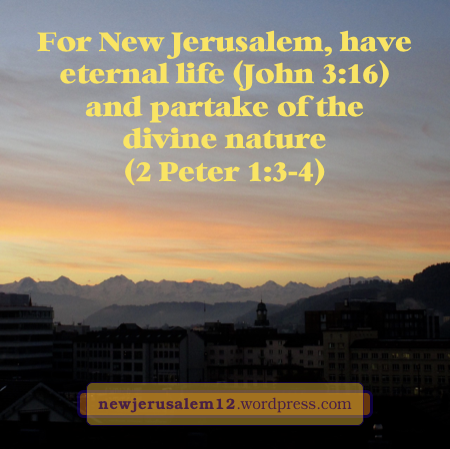 It is this eternal life which brings us into New Jerusalem and grows us into this city of life. In John 14:1 the Lord Jesus said, “believe into God, believe also into Me.” In the rest of this chapter He speaks about God dwelling in us and us dwelling in God. This mutual indwelling is the reality of New Jerusalem. It all comes forth from our believing/receiving (the two are synonyms in the New Testament). If you have already believed and have assurance of eternal life, then assuredly you will be part of New Jerusalem. If not, choose Jesus Christ. Choose eternal life. 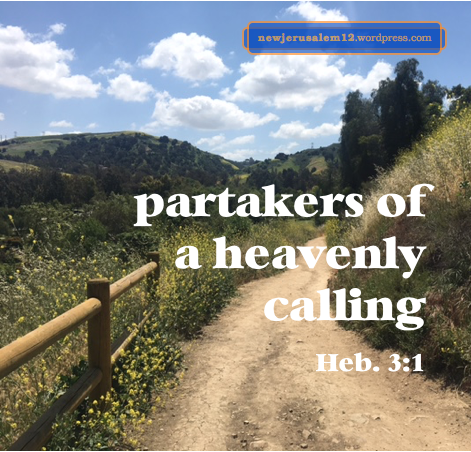 This is also to choose participation in New Jerusalem. Simply say to Him, Lord Jesus, I receive You. I want to be a child of God. Cleanse me of all my sins and failures, and give me eternal life. For more, watch these two videos (each about 2½ minutes) about Jesus and human life. The marriage of the Lamb, Jesus Christ, and His wife, New Jerusalem, is the conclusion of the Bible. Our receiving eternal life (John 3:15-16) is so that we can match Christ and become His bride, His increase (3:29-30). Our receiving of eternal life is our being born again (3:3, 5-6). Now we need to grow in this life (1 Peter 2:2-3, Eph. 4:15) by being nourished with the milk of the word (1 Cor. 3:2). This nourishment causes the increase of Christ in us (Col. 2:19) so that we are no longer “infants in Christ” (1 Cor. 3:1). This growth is our path to New Jerusalem. Let us not remain infants and let us not merely seek Bible knowledge. Lord, nourish me and cause me to grow in You unto New Jerusalem.